Ashburton Meats required a new website for their business. It was to be their first website and as some will imagine, it is a daunting step in an area many people are unfamiliar to. Luckily, the Wizarts are here to assist people and businesses in the steps to getting them online. Initially the Wizarts designed and developed a new Ashburton Meats online portal with drafts and discussions with the business owner. Choosing to do the website in a user friendly responsive CMS format was ideal for the client, as this allows them to manage the website in the future. 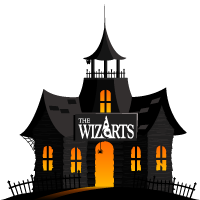 Not long after the website was launched, the Wizarts further assisted the client in getting their presence on social media. Social Media is a great way to improve your SEO and online presence on the internet and includes avenues such as Facebook, Twitter and LinkedIn. The Wizarts are experts at setting this up for you. The latest feature the business required of the Ashburton Meats online portal was a basic ecommerce page. On this page, clients could view and order each product available at the butcher. The page also required a personalised script that would tally the total of products and give and estimate charge. This tally happened automatically and adjusts at the click of a mouse. It has been a very effective marketing strategy for a butcher shop and has put them ahead of the competitor.